This record reminds me a lot of the Coco Hames record from early in the year; a solo debut that explores several styles is always a pleasant listen but lacks an essential sense of identity to mark it out from the crowd. At times where the songs need something to push them on, they drift. Stargazer is a case in point, it is lovely, her voice is good, the melody is satisfying but it just doesn’t reach out and grab me. Similarly Cold Comfort resurrects standard Country tropes, pleasantly – it doesn’t do anything, which is frustrating as she is clearly capable of more than just settling for these pleasant genre pieces. Florence leads me to lazy Cat Power comparisons, and I’ll Cry hangs semi-brightly like a kind of 1960’s Mazzy star. 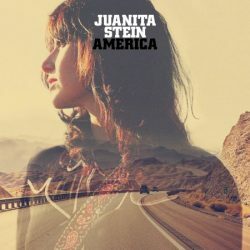 Stein has spent the last decade or so in the Howling Bells and this solo record explores her childhood fascination with America and the American Dream, seeming content to buy into the myths rather than trying to pick away and find something more interesting. The songs seem more bound by genre than is usual with the Howling Bells who are capable of breaking out of boundaries – here Stein is content to ape rather than forge her own path. It’s all gorgeous, her voice is a sensuous instrument, it’s close to being a very good record but for the passages where nothing very much happens and where the songs follow well trodden paths opening up no new vistas. It’s all gorgeous – her voice is a sensuous instrument – and it’s close to being a very good record but for the passages where nothing very much happens and where the songs follwell-troddenden paths opening up no new vistas.